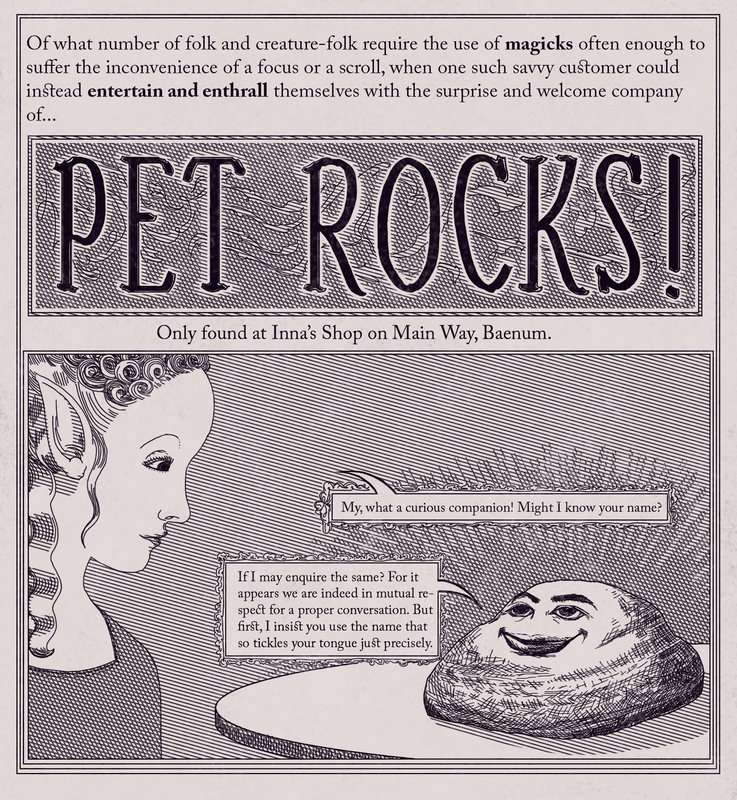 Essential Podquest Inventory: Pet Rocks! – GHOST PARTY! Ah yes, just what every adventurer needs on their perilous journey: a pet rock! These magical companions were first introduced to the party in part 2 of chapter one, Baenum Bandits upon entering Inna’s Shop. Amongst souvenirs, jewellery, and finery, Inna sells enchanted rocks, albeit at a steep price. Each rock has a smiley face painted on, and remains inert until it has received food and some petting. Once awake, it’s likely to want a name to go by as well. The local enchanter imbued each one with a random spell or ability that the rock will wish to use at their new friend’s request. Since the rocks themselves are souvenirs in a tourist boutique, it’s unlikely that any will have a powerful or dangerous enchantment (let alone relevant to the task at hand). Of course, that never stops Gnoman, Giacabo, or Digby from getting creative. How long do rocks remain sentient? What kinds of magic do they command? Do any of them freak out upon gaining consciousness for the first time? Can you trust them as far as you can throw them? Why so many questions about rocks?! 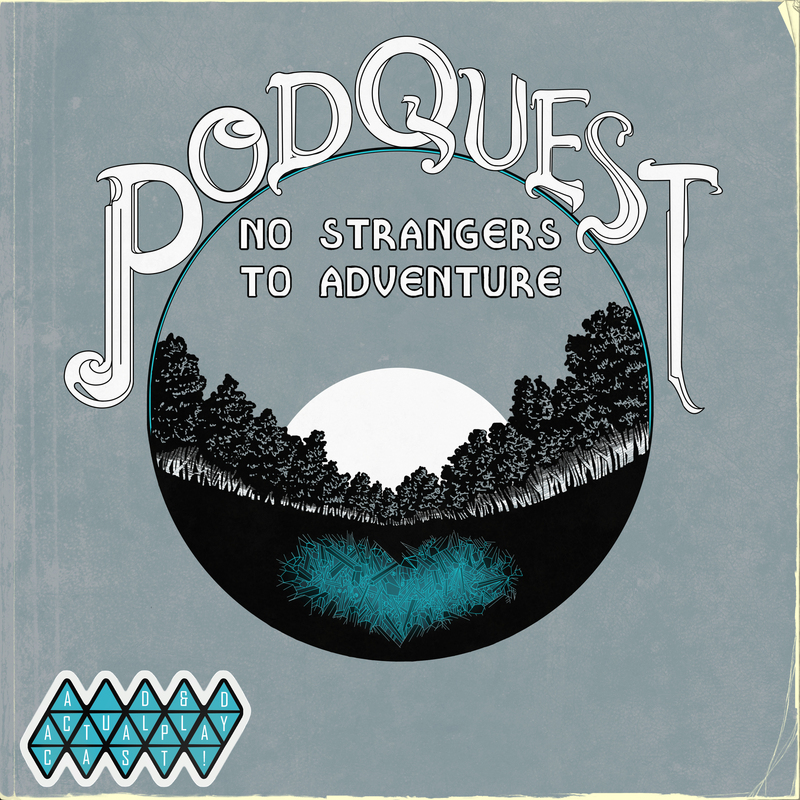 All these questions and more will be addressed as we continue the story of Podquest: No Strangers to Adventure! Pingback: Dream Warriors – GHOST PARTY!